"I had Ulrike for my third pregnancy and first home birth. Having birthed both in a hospital and at a birthing center I have worked with several midwives as well as doctors. Being under the care of Ulrike felt genuine and comfortable. I enjoyed our visits and never felt rushed. She listened to my needs and wants both with my pregnancy and with what was going on with my children at the time and then later during the birth. At times Ulrike even identified things I hadn't noticed myself. I felt better and had more energy throughout my pregnancies then with my previous pregnancies. Even minor things, I thought all chalked up to typical discomforts, she would find a way to ease. I felt blessed to work with Ulrike". "I can't say enough wonderful things about Ulrike. This was my second pregnancy, so I had a better idea of what to expect, but Ulrike was there to help through the hiccups. Early in my pregnancy I suffered severe sciatic pain, and Ulrike had amazing suggestions, including acupuncture, that greatly helped ease the pain. She was there for not only me, but my husband, day and night, ready to answer any questions that we may have had. When I actually went into labor she was the soothing voice telling me that, despite my moans of "I can't do this," that I indeed was doing it. Her calm presence helped greatly, and she never left my side (or my husband's, which he was grateful for). The thing that really left a lasting impression with me was the postpartum care. During my first pregnancy I really felt like I was left to figure everything out for myself by my previous midwife and felt that I suffered greatly because of it. When Eli was only a few weeks old I suffered from mastitis, and it was horrible. Ulrike still answered every text, offered excellent suggestions, and checked up on me throughout my illness. I'm so glad that Ulrike was able to be our midwife. My husband and I don't plan on having any more children, but I know without a doubt, if that weren't the case, I wouldn't want anyone else but Ulrike to be there for us." "Ulrike assisted at the birth of my first daughter at our home in South Austin. Throughout my prenatal care and the birth, she was steady, calm, and knowledgable and her experience and insight were a constant comfort. I have many fond memories from that night of her speaking powerful words of reassurance and encouragement at just the right moments. I am so thankful for the love and joy she brings with her into all she does and feel blessed and grateful that my daughter was helped into the world by such strong, loving hands." "We are so very blessed to have Ulrike's life support! She partnered [assisted] GB Khalsa as the midwives for our third son, Gabriel. These women showed a tremendous devotion to our family's well-being, through their care and awareness, helping us to feel peace and confidence throughout the pregnancy. The day of Gabriel's birth was magical and beautiful. We felt like we were safeguarded in the presence of angels. Tattooed angels! :) We are grateful for their divine gifts of understanding, generosity, and grace. "Ulrike's presence was pivotal in the birth. She was there but created space for me to go through my process. When I needed encouragement, she gave it. When I felt scared, she whispered words that helped me to feel brave again. She reminded me that my body was doing what it needed to do, that I was safe, that it was just strong sensation, and that I could handle it. I believed her. I felt loved, protected, seen, witnessed and held by Ulrike's compassionate, knowledgable, loving presence. If we had another one, she would absolutely be the first person I would call, to make sure she could be there. Thank you, Ulrike, for being there, as a friend and midwife, ushering me into motherhood for the third time." "As a birth photographer, I have had the pleasure of working alongside most of Austin's midwives. When I met Ulrike, I knew instantly she would be one of my favorites, and my experience with her did not disappoint. While I can say that I care very deeply about my clients, the birth that we attended together was not for just any client, but a dear friend as well. Ulrike's presence was kind and quiet, yet attentive. She has the utmost respect for the sanctity of the birth space and the process of bringing forth life, and is skilled in knowing not only when to act, but in the lost art of knowing when not to. She is a truly beautiful soul and it was, and will continue to be, an honor to work with her." "Ulrike is a wonderful person and gifted midwife. 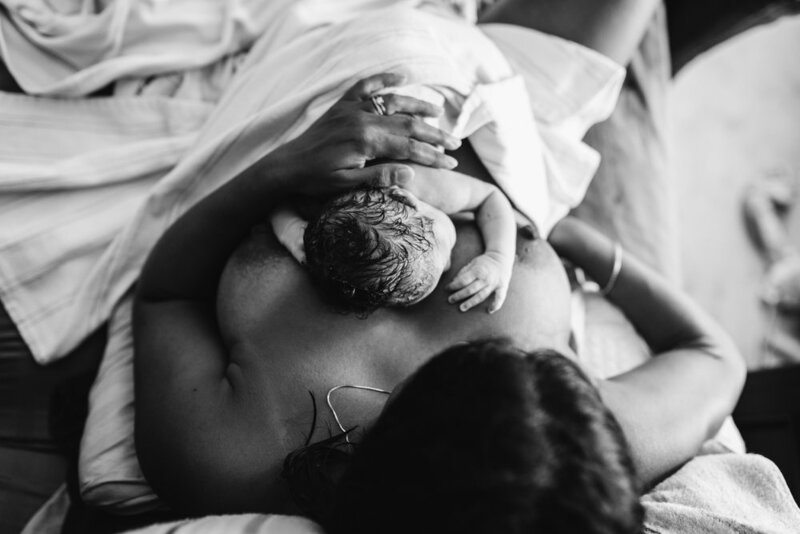 She provided an atmosphere of calm and confidence which allowed me to feel safe and strong and gave me the energy I needed to realize I was capable of delivering my baby!" "My third homebirth was a wonderful experience. Ulrike was my behind-the-scenes support. I was able to concentrate all my energy inward, and relied on her gentle presence. Before I even realized I had voiced the need for water or some reenergizing snack, there she was, unobtrusively attentive. She and my husband, along with my midwife, were my lifelines that long night."